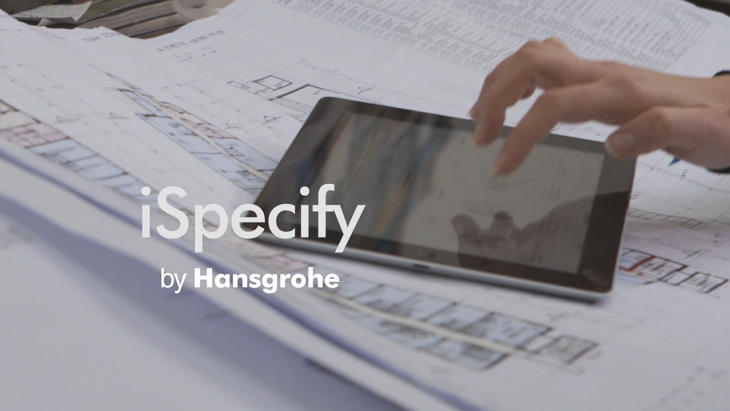 With iSpecify, the new online tool from Hansgrohe, professionals can save time preparing quotes that are precisely tailored to customer requirements: all relevant data is pooled, together with photos or further inspiration from the hansgrohe and AXOR product ranges, which serve to add clarity and authenticity to the quote. No need to go to any other sources: use iSpecify to blend your planning creativity with technical research, so that you can achieve your goals faster and more reliably. Not only does the online tool make it easier to search for products within the hansgrohe or AXOR product range, it also makes it easier to document technical data and present the ideal solution: use iSpecify to keep an eye on the budget, not to mention standards and country-specific particularities. Custom create one project folder for everything, and adapt it at any time. Check it out for yourself: iSpecify has proven highly effective in day-to-day planning. This is due to the fact that Hansgrohe developed the online tool in discussions with well-known interior designers. By designers for designers. iSpecify offers easy access to all relevant information in the hansgrohe and AXOR product range: filter by category or product feature to match your design concept. For example, bathroom mixers for wall mounting or floor-standing, filtered by style or surface finish. Click through our international reference projects: ranging from hotels to private lifestyle and housing construction projects through to shipping. Find out all about the hansgrohe and AXOR products used in these projects, which can also be used in your own planning. Collect all the products in your own project folder, and conveniently arrange them in keeping with the project. Download all product planning data and images for your own customised specification. Your personal project consultant is at your disposal and will prepare a personalised quote for you on request.